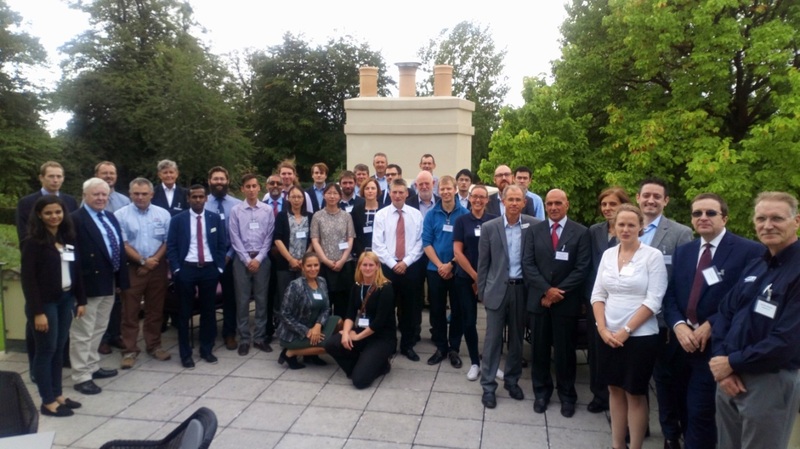 We recently hosted the 52nd UK Conference and Workshop on Human Response to Vibration at the Sudbury House Hotel in Faringdon, just a few miles down the road from our base at Shrivenham. The conference was attended by around 50 delegates and sponsors from the UK and overseas, and covered all aspects of sound, shock and vibration effects. Topics included safety limits, measurement of exposure, legal issues, guidelines and standards within the context of building vibration and environmental noise, road, off-road, and rail vehicles, aircraft, marine craft, power tools and simulators. Dr Tao Wu of the Health and Safety Executive opened up proceedings with a very informative speech on the role of the HSE in the vibrations context, background regulatory issues and overall occupational and societal activities. Dr Gurmail Paddan from the Institute of Naval Medicine – home of the Royal Navy’s medical training – gave the audience a comprehensive talk on the use of rigid inflatable boats and vibration issues during service. Two fascinating lectures by medics followed: Dr John Murphy from the Royal National Lifeboat Association showed real-life clips of rescue crews operating in rough seas, illustrating the level of extreme danger RNLI volunteers go through in order to save lives. Dr Jon Clasper, Visiting Professor at Imperial College London and Emeritus Professor of trauma surgery for the Royal Centre for Defence Medicine, explained how standards and protocols for dealing with blast injuries in vehicles cannot come from crash testing for motor vehicle accidents. Dr James Watson, Manager, Cranfield Impact Centre, also spoke about F1 crash testing and the strenuous efforts made to avoid ‘ringing’ in the sledge testing facility. Great care is taken to ensure the sledge’s performance does not unduly influence accelerometer results and therefore produce more reliable readings from crash test dummies. It was also a pleasure to have industry partners displaying their products and services at the conference too. Cranfield’s links with industry were demonstrated in other ways as well. Yogyata Kapoor, a 2015 Cranfield Automotive Mechatronics MSc graduate, was representing DJB Instruments. She now works for the company – which produces a range of vibration testing equipment for the automotive industry, planes and crash testing – as an electronic product development engineer. At the end of the conference we also spoke about plans for next year’s event. Paul Pitts, from the Health and Safety Executive and Hans Fairley from STIHL are leading the preparation on this event which will be hosted by STIHL with support from the HSE. A book of papers from the conference is available for purchase here. Peter Zioupos is Professor of Forensic Biomechanics at Cranfield Forensic Institute and was the organiser of the 52nd HRV Conference and Workshop. He leads the activities of the Musculoskeletal and Medicolegal Research Group and the Biomechanics Laboratories at Shrivenham. 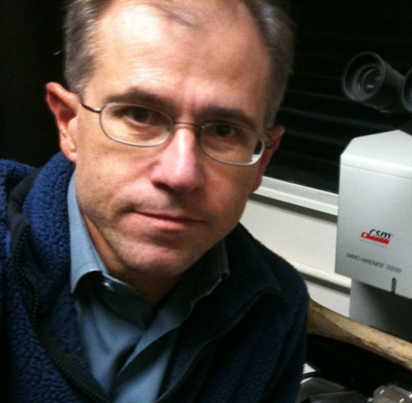 He is active in basic and applied biomechanics (orthopaedics and pharmaceutical research) and in forensic biomechanics cases of lethal or otherwise trauma, which involve primarily bone injuries. Peter also offers consultancy to industry on the macro- and micro-mechanical (nanoindentation) behaviour of materials, on health care products, anodising layers, the design of test chambers and on testing standards.